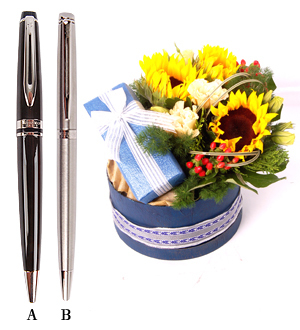 Waterman's Expert Ball Pen, a great gift for the masculine man. Its bold, rounded cigar shape distinguishes him from the ordinary. Gift comes packaged with flowers.